Tamil superstar Rajinikanth on Tuesday addressing his fans here said he will announce his political stance on December 31. Rajnikanth said he was not saying he would enter politics but would only announce his "political stance" on that day. The actor said he was not new to politics, however, it required time to "study and strategise". "We will see when the war comes and war is nothing but an election." "One has to win a war. Bravery is not enough to win the war. 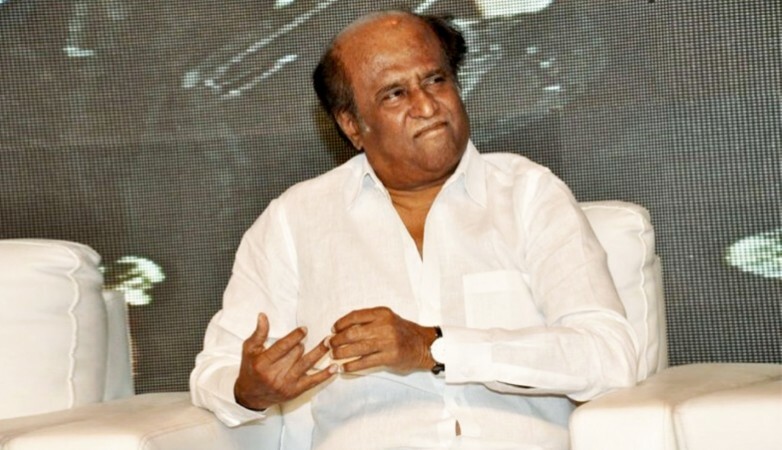 Strategy is needed," Rajinikanth said. He said more than the people, the media was interested in knowing about his political plans. He also advised his fans not to focus on the negative information being circulated in the social media. "Focus on positive thoughts," he said. Members of Rajinikanth's fan club would also get an opportunity to take a photograph with their matinee idol at the meeting. In November, Rajinikanth had told reporters that there was no hurry for him to enter politics. In May, while addressing a large gathering of his fans, Rajinikanth said he would choose the path of politics if "God willing". "God decides what we have to do in life at every phase. Right now, he wants me to be an actor and I'm fulfilling my responsibility. If God willing, I will enter politics tomorrow. "If I enter, I will be very truthful and will not entertain people who are in this to make money. I won't work with such people," he had said.